Sean Orr WORKS tailors workouts to your specific needs and fitness goals. Each individualized training package begins with a complimentary initial consultation. An experienced professional will review your fitness and health history and discuss strategies for you to achieve measurable results. We will create a workout plan that is suited to you, factoring in your experience, age, body type, level and ability. We offer unique exercises, a flexible schedule with expert trainers, on top-of-the-line equipment to create a balanced programme. SPINWORKS is a high-intensity, low-impact cardio workout, to pumping music that WORKS to get your heart, mind and body energized, on top-of-the-line Keiser m3 bikes. Click the link to see how SPINWORKS. At Sean Orr WORKS our classes aim to gather like-minded individuals, with similar fitness goals in a supportive, lively, fun and challenging environment. Small class sizes ensure that everyone receives the attention they need. Sean Orr WORKS offers a limited cardio membership for clients looking to take advantage of the studio's state-of-the-art cardio equipment. 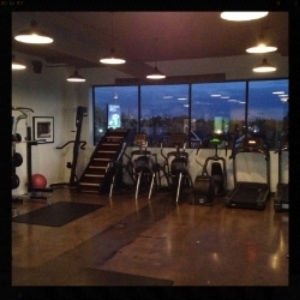 Sean Orr WORKS also offers additional services for your specialized fitness needs. Ask one of our professionals about our: injury rehabilitation, sports conditioning, nutritional counseling, stretching programmes, pre- and post-natal workouts, and senior care. Let's start working for you. Click below to arrange a time to come and see the studio. Your hour is reserved for you. Please note a fee (the cost of your session or class) will be charged if your cancellation is not made 24 hours prior to your session.